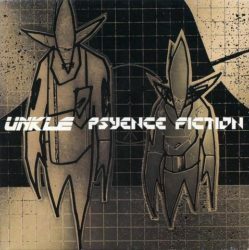 British-American electronic music group Unkle’s debut studio album is now out again on vinyl! Psyence Fiction reached #4 on the UK Albums Chart and was named one of the top 50 trip hop albums of all time by Fact. Originally released 20 years ago, the album was created by James Lavelle and DJ Shadow and is now being reissued on a 2LP format.